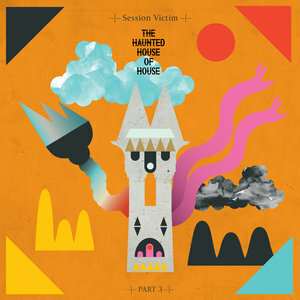 If you missed out on Session Victim's excellent 2011 debut album The Haunted House of House, this third sampler EP gives a tantalising glimpse of what you've been missing. As with the album itself, there are various flavours on show, from the shuffling, string-laden, eyes-wide-shut loveliness of "Zoinks", to the Hammond-laden jazz shuffle of the irrepressibly groovy "Good Intentions" (check out that brilliant walking bassline). Best of all, though, is "Light Scent of Decay", a majestic builder that morphs from a lazy Balearic shuffler into a touchy-feely deep house gem over 10 majestic minutes. Thrilling stuff.